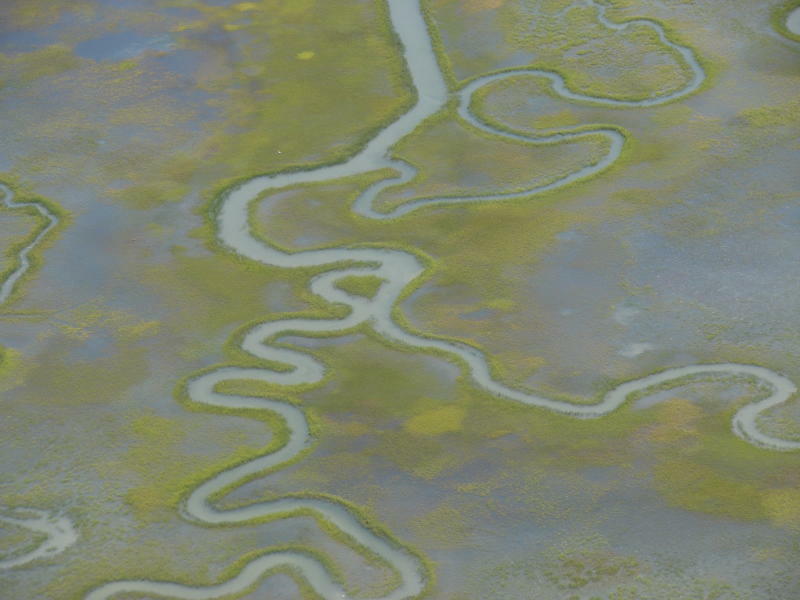 ScienceDaily (Sep. 26, 2012) — A warming climate and rising seas will enable salt marshes to more rapidly capture and remove carbon dioxide from the atmosphere, possibly playing a role in slowing the rate of climate change, according to a new study led by a University of Virginia environmental scientist and published in the Sept. 27 issue of the journal Nature. Carbon dioxide is the predominant so-called "greenhouse gas" that acts as sort of an atmospheric blanket, trapping Earth's heat. Over time, an abundance of carbon dioxide can change the global climate, according to generally accepted scientific theory. A warmer climate melts polar ice, causing sea levels to rise. A large portion of the carbon dioxide in the atmosphere is produced by human activities, primarily the burning of fossil fuels to energize a rapidly growing world human population. "We predict that marshes will absorb some of that carbon dioxide, and if other coastal ecosystems -- such as seagrasses and mangroves -- respond similarly, there might be a little less warming," said the study's lead author, Matt Kirwan, a research assistant professor of environmental sciences in the College of Arts & Sciences. "One of the cool things about salt marshes is that they are perhaps the best example of an ecosystem that actually depends on carbon accumulation to survive climate change: The accumulation of roots in the soil builds their elevation, keeping the plants above the water," Kirwan said. Salt marshes store enormous quantities of carbon, essential to plant productivity, by, in essence, breathing in the atmospheric carbon and then using it to grow, flourish and increase the height of the soil. Even as the grasses die, the carbon remains trapped in the sediment. The researchers' model predicts that under faster sea-level rise rates, salt marshes could bury up to four times as much carbon as they do now. "Our work indicates that the value of these ecosystems in capturing atmospheric carbon might become much more important in the future, as the climate warms," Kirwan said. But the study also shows that marshes can survive only moderate rates of sea level rise. If seas rise too quickly, the marshes could not increase their elevations at a rate rapid enough to stay above the rising water. And if marshes were to be overcome by fast-rising seas, they no longer could provide the carbon storage capacity that otherwise would help slow climate warming and the resulting rising water. "At fast levels of sea level rise, no realistic amount of carbon accumulation will help them survive," Kirwan noted. The United States Geological Survey's Global Change Research Program supported the research.